Former President John Dramani Mahama on Tuesday chaired a ceremony in Abuja, Nigeria, to inaugurate the Olusegun Obasanjo Centre for Good Governance and Development at the National Open University of Nigeria. A statement from the office of Mr Mahama said the ceremony, which was also attended by a former Chief Justice of Nigeria, Justice Aloma Mukhtar, was an opportunity to honour the former Nigerian President for his commitment and contribution to the promotion of education in Nigeria. 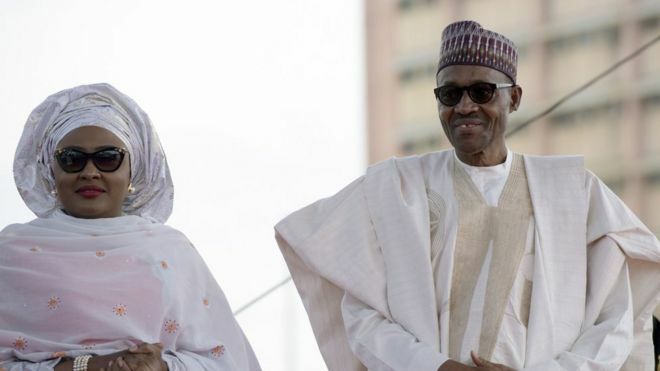 Nigeria's first lady Aisha Buhari has said that her husband is not as sick as is being perceived. She tweeted that President Muhammadu Buhari, 74, was continuing to "carry out his responsibilities" and has been meeting with ministers. A group of prominent Nigerians called on Mr Buhari to take medical leave amid growing concern about his health. Angel Group of Companies, producers of Adonko Bitters, has begun a recall of the product with batch number 201 following a directive from the Food and Drugs Authority (FDA) over its alleged abuse by minors at an Easter Monday event in Kumasi. A statement signed by Sampson Lardi Anyenini, counsel for the company, said the batch number of the said products makes it easier for identification and will assist all to separate it from what has always been on the market. The Association of Oil Marketing Companies (AOMCs) has sent a distress call to the government to save the businesses of its members from the activities of black market operators in oil products. More than 4,000 employees of OMCs risk losing their jobs at the end of this month if the menace posed by black market trading in petroleum products continues. Ghanaian midfielder Thomas Partey was an unused substitute as Atletico Madrid were battered 3-0 by Real Madrid in the first leg of the UEFA Champions League semi-finals at the Estadio Santiago Bernabeu. Cristiano Ronaldo scored another Champions League hat-trick as Real Madrid thrashed Atletico Madrid in the semi-final first leg to close in on a third final in four years. 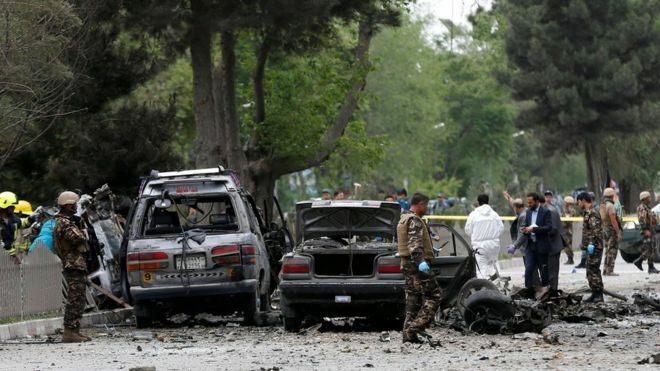 A suicide attack on a convoy belonging to the Nato mission in Afghanistan has killed at least eight people in Kabul, officials say. Valuation models available to governments and their agencies, managements of corporate bodies, and investors allow them to make meaningful and productive investment decisions. This feature is a continuation of an earlier publication on the foregoing. Discussions in the previous write-up ended on some key features of bonds and their impact on investment valuation and decisions. The Minister of Tourism, Creative Arts and Culture, Mrs Catherine Abelema Afeku, has called on Ghanaians to preserve and conserve the country’s rich cultural heritage. According to her, Ghana was endowed with a variety of traditions and culture, manifested in many ethnic groups, all constituting an important attraction for tourists, both local and foreign, which needed to be preserved. The 2016 Flag bearer of the Progressive People’s Party (PPP), Dr Papa Kwesi Nduom, has urged Ghanaians to patronise made-in-Ghana goods to encourage the Ghanaian worker. As Ghana marked this year’s May Day last Monday, Dr Nduom, who is also the President of Groupe Nduom, asserted that such days would be meaningful when deliberate efforts are made to promote the interest of the Ghanaian worker. The Kadjebi District Director of the National Commission for Civic Education (NCCE), Mr Daniel Agbesi Latsu, has said illegal mining (galamsey) impacts negatively on the environment and must be stopped. He said it also posed many risks and dangers to humans, water bodies, forest cover, flora and fauna, hence the practice could not be allowed to continue. A Community Health Centre to serve the people of Abura and seven other towns in the Ahanta West District in the Western Region has been inaugurated. The 100,000 Euro facility, which was started in October 2015, has male, female and children's wards. Others are a maternity/labour ward, a dispensary, consulting rooms, a laboratory, as well as an outpatients department (OPD). The National Petroleum Authority (NPA) has announced measures to deal with the smuggling of petroleum products which is costing the nation about GH¢850 million. As part of the measures, exporters of petroleum products from the country are to pay the same taxes that local retailers and wholesalers of the products pay, but, unlike their local counterparts, the exporters will be allowed to file for tax refund later. A former Member of Parliament for North Dayi, Mr George Loh, believes the Auditor-General’s report comes under the scrutiny of the Public Accounts Committee (PAC) a little too late for any lasting impact because of rigid systems. Mr Loh, also a former ranking member of the committee, explained that malfeasance are normally highlighted years after the facts because of a backlog of issues. The Media Coalition against Illegal Mining and allied stakeholders have slated another public forum for Thursday, May 4 to advance the cause to get galamsey banned across the country and its destructive effects reversed.